1) Step the feet apart into a wide straddle. The feet should be slightly pigeon-toed so that the outside edges of the feet stay parallel. 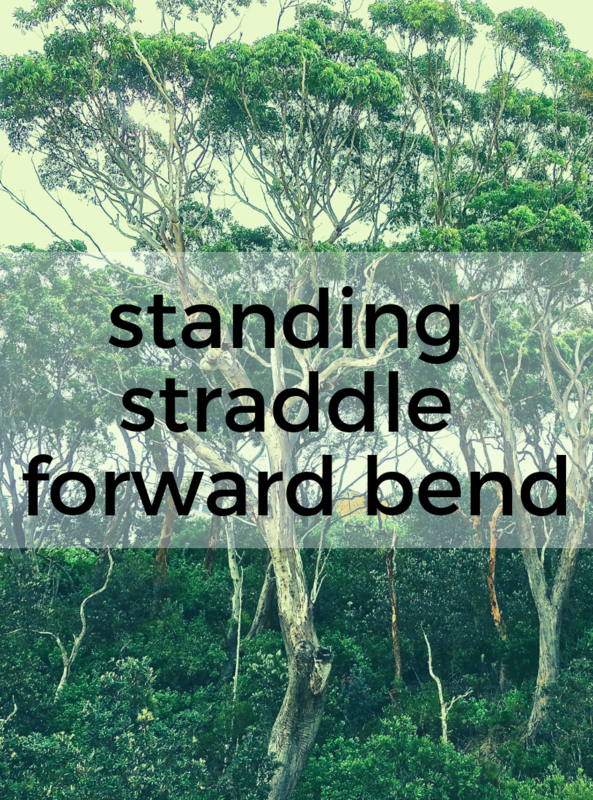 2) Deepen the hip creases as you come into a forward bend. 3) Bring the hands directly underneath your shoulders. Then begin to walk the hands back, bringing your wrists in line with your ankles, if possible. 4) Bend the elbows as if in Chaturanga. 5) Try bringing your body weight forward into the balls of your feet to keep the hips in the same plane as the ankles. 6) Engage the quadriceps and draw them upwards. 7) Stay here for 5 to 10 breaths, lengthening the spine on the inhales and deepening the forward bend on the exhales. 8) To come out, bring your hands onto your hips and keep your back flat as you come up to stand. Take blocks under your hands if they don’t reach the floor. If your head easily touches the floor, trying narrowing your stance. If the head is on the floor, you may come up into a Tripod headstand. Arm Variations: You may take Yogi toe lock or walk the hands back beyond your ankles with the arms straight.